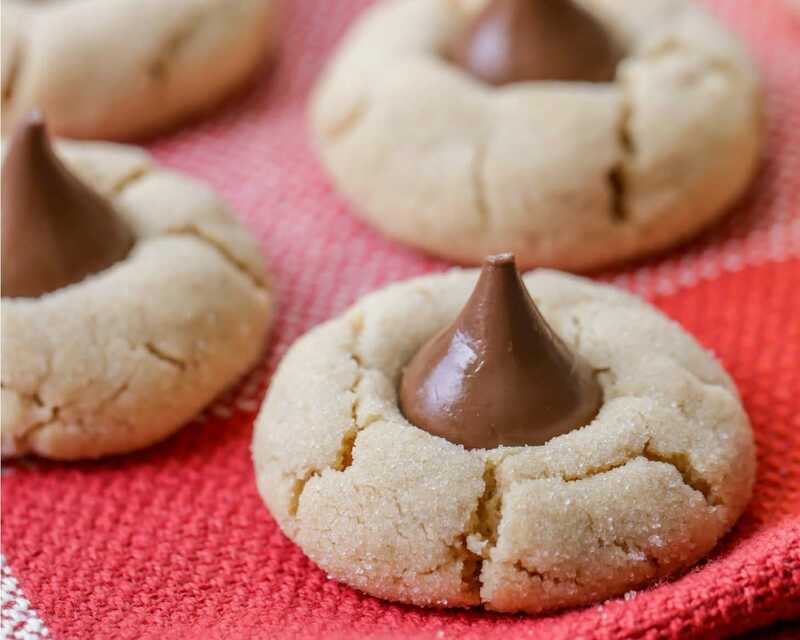 Delicious Peanut Butter Kiss Cookies are soft, chewy cookies with peanut butter goodness and topped with a tasty Hershey’s Kiss! 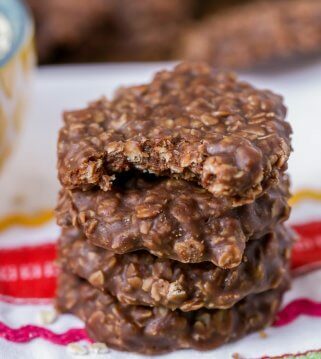 Everyone LOVES this yummy, simple cookie recipe. Happy February friends! I hope you are all well. Who out there loves Hershey’s KISSES? I do!! Typically, I don’t like my chocolate plain, but sometimes, a simple Hershey’s KISS is just sooo good to me. You know what makes them even better?? 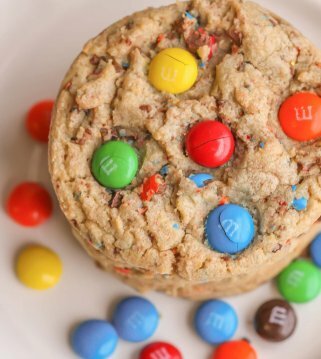 Putting them on top of a peanut butter cookie! 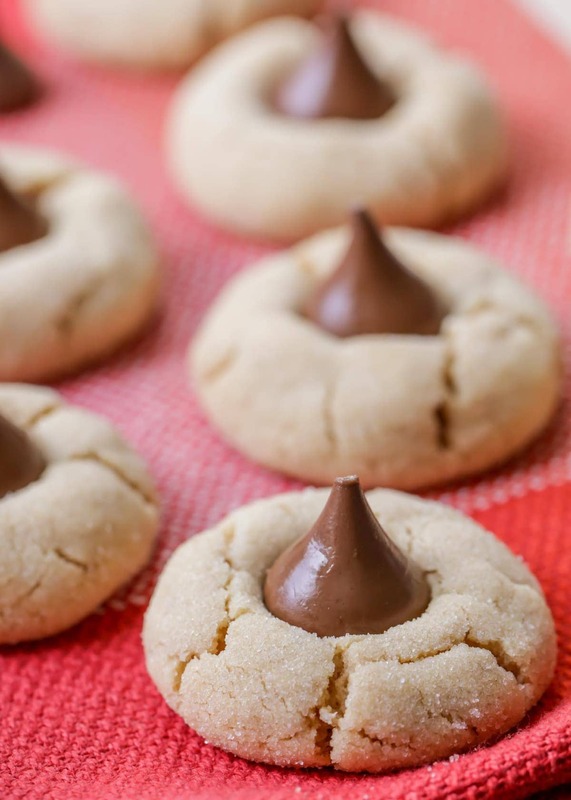 That’s what today’s recipe is – Peanut Butter Kiss Cookies (aka Hershey Kiss Cookies). 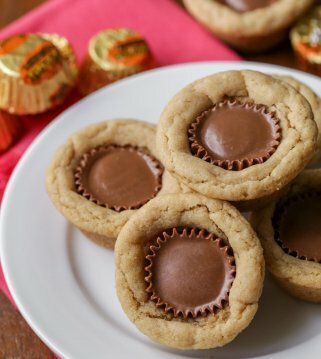 We’ve been making these (along with our Peanut Butter Cup Cookies) for as long as I can remember, and we wanted to share our favorite recipe for them today. We obviously love cookies in the Luna family, and with Valentine’s around the corner, we thought sharing this sweet recipe would be perfect. 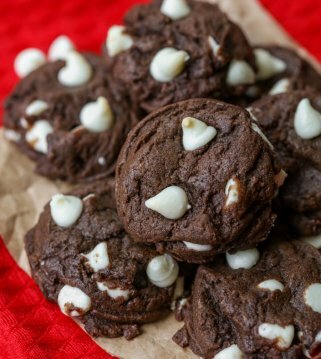 Because, how often can you make delicious cookies that include KISSES?! In a large bowl, beat both sugars, peanut butter, butter, and egg, until well blended. Stir in flour, baking soda and baking powder until dough forms. 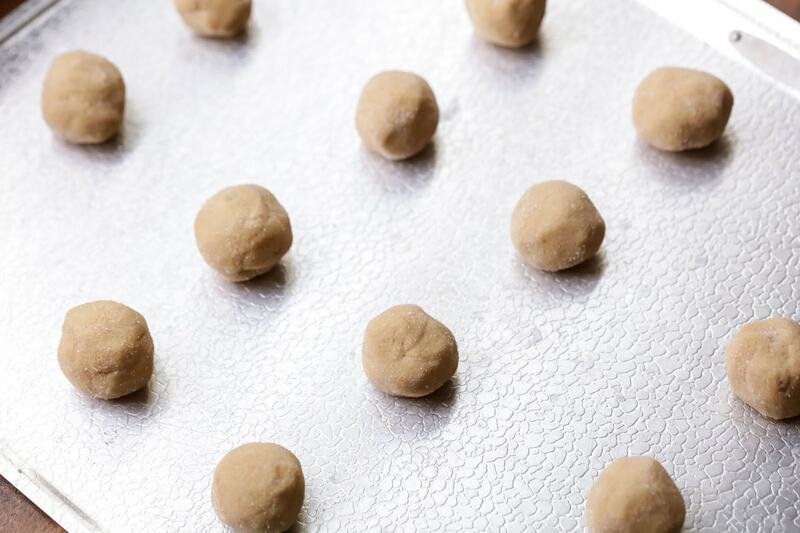 Shape dough into 1-inch balls; roll in additional granulated sugar. Place on ungreased cookie sheets, about 2 inches apart. Bake at 375 for 8 to 10 minutes or until edges are light golden brown. Immediately press 1 kiss in the center of each cookie. The recipe we have used for years come straight from the Betty Crocker website, and that Betty knows her stuff! Both butter or margarine work with this recipe, but we like to use butter. The peanut butter cookie is super soft and pairs perfectly with the chocolate kiss. Be unique and send kisses a different way to your loved ones this Valentine’s Day. 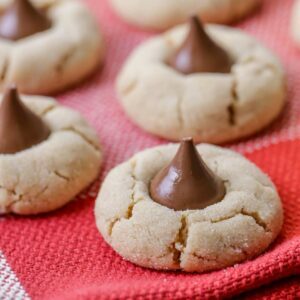 Delicious Peanut Butter Kiss Cookies (aka Hershey Kiss Cookies) are soft, chewy cookies with peanut butter goodness and topped with a tasty chocolate-y Hershey's Kiss! In a large bowl, beat both sugars, peanut butter, butter and egg until well blended. Stir in flour, baking soda and baking powder until dough forms. Shape dough into -inch balls; roll in additional granulated sugar. Place on ungreased cookie sheets, about 2 inches apart. Bake at 375 for 8-10 minutes or until edges are light golden brown. Immediately press 1 kiss in the center of each cookie. Remove from cookie sheets to cooling rack. 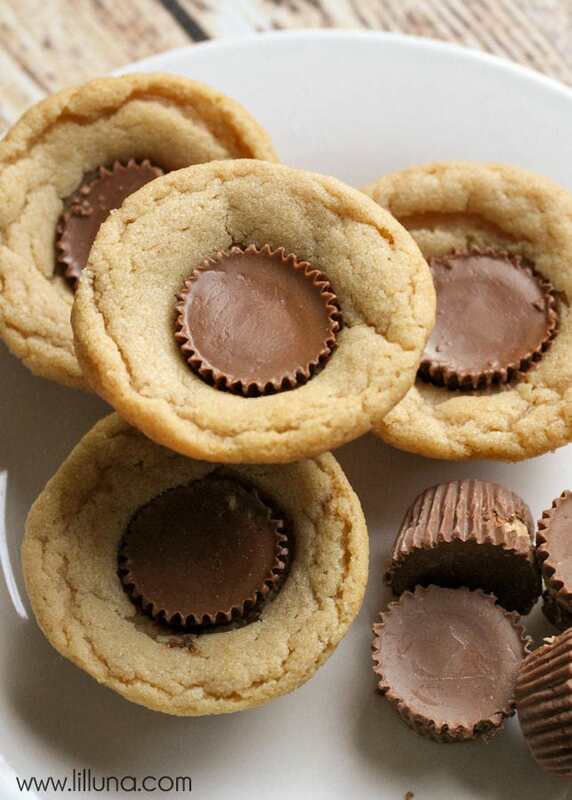 If you love this recipe, you’ll also love the Peanut Butter Cup Cookies that are similar and just as delicious! For all Cookies, GO HERE. hey girl- these cookies look so yummy! Ya’ll have a great weekend! 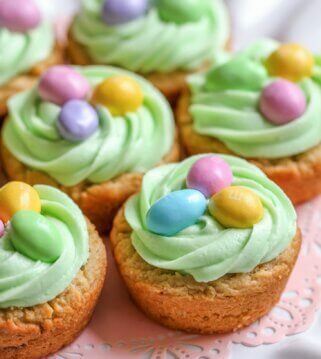 Not only do these look delicious, they also look adorable, haha. Can’t wait to make this recipe! They are both 🙂 I’d love to know what you think! Thank you! Love these cookies! They are one of my favorites for Christmas. I doubled the batch to have some to share with friends. The recipe is easy to follow, and I usually have most of the ingredients in the house! I agree!! They are the best & one of the favorites for cookie exchanges!! Thank you! Made these with hershey hUgs for mY cookie exchange party. They were delicious!